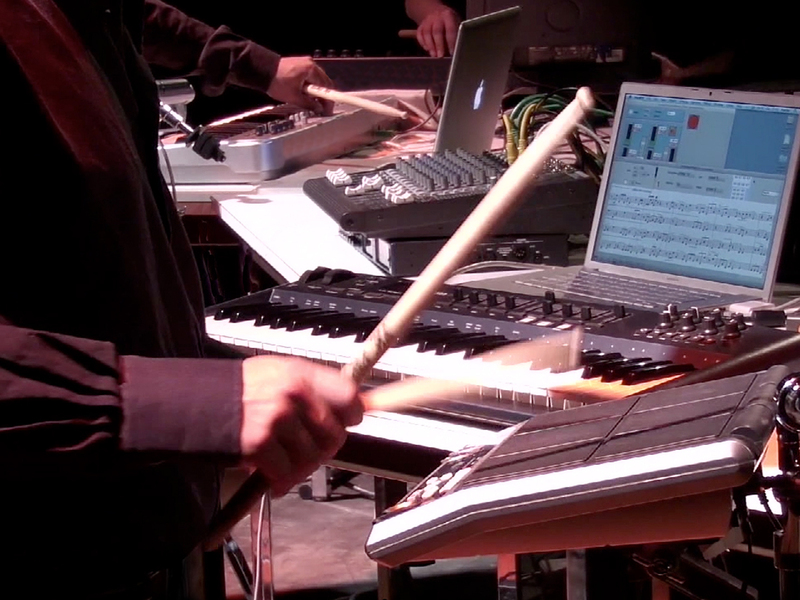 Electronic music uses tools that are evolving at an incredible speed. Many pieces of music that were written during the last fifty years can no longer be played again because they used electronic instruments that no longer work today. With the development of computer technologies, the situation is even worse. For this reason it is important to develop a new language for creating digital tools that will last over time. In parallel, we apply these tools to preserve some important pieces of the digital music repertoire. In this seminar, we will show how the language can be used for creating DSP (Digital Signal Processing) applications. We will also present the piece Turenas by the American composer John Chowning (inventor of the FM sound synthesis technique and of sound spatialization theory). This piece was initially only available for a 4-track tape but we have rewritten it, for four performers, electronic percussions and a computer. Laurent Pottier has been teaching Computer Music at the University of Saint-Etienne (France) since 2005. He was Musical Assistant for Computer Music at IRCAM-Centre George Pompidou in Paris from 1992 to 1996, and then became the Scientific Director of GMEM (National Center for Musical Creation) in Marseille from 1997 to 2004. He has both a PhD in Science (1986) and in Musicology (2001).